Boost productivity with efficient 4-in-1 versatility for your medium and large workgroups. Boost productivity with 4-in-1 versatility in your office or workgroup. Large workgroups that need a single device for high-speed printing, copying, faxing and scanning that is scalable, simple to use and helps improve productivity. Medium-size businesses needing a high-performance multifunction machine with fast speeds, network capability and efficient document management features. Medium and Large office workgroups needing a reliable, efficient, top-quality multifunction color printer with enterprise-class productivity features. Small offices, workgroups seeking a 4-in-1 mono laser printer to print, scan, copy and fax easily, efficiently and help boost productivity. Small businesses seeking high-quality print results, easy networking and high page-per-minute printing all in an affordable device. Small businesses seeking high-quality print results, easy networking and high page-per-minute printing all in a multifunction device that can replace many office machines. 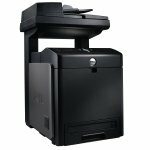 Small/medium businesses needing a high performance, advanced color laser printer with low total cost of printing. 17.28" x 20.87" x 21.97"
15.98" x 13.31" x 15.12"
18.3" x 17.3" x 18.1"
16.3" x 17.5" x 14.8"
21.5" x 19.2" x 17.2"
Toll-free 24x7 Tech Support and 1-Year Basic Next-Business-Day Advanced Exchange Service* with Fuser Maintenance Coverage included in standard and upgrade service options. Toll-free 24x7 Tech Support and 3-Year Basic Next-Business-Day On-site Service* with Fuser Maintenance Coverage included in standard and upgrade service options. Toll-free 24x7 Tech Support and 1-Year Next-Business-Day On-site Service*with Fuser Maintenance Coverage included in standard and upgrade service options. Toll-free 24x7 Tech Support and 1-Year Next Business Day Advanced Exchange Service* with Fuser Maintenance Coverage included in standard and upgrade service options. Toll-free 24x7 Tech Support and 1-Year Next Business Day Onsite Service with Fuser Maintenance Coverage included in standard and upgrade service options.